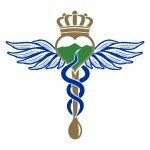 @sohumroyal Instagram Influencer Profile - Contact SoHum Royal Cannabis Co.
About SoHum Royal Cannabis Co.
SoHum Royal is one of the first permitted cannabis farms in the heart of the Emerald Triangle. We farm cannabis the way it was meant to be grown with raw organic inputs and all the power of the sun. It is our vision to bring high caliber products to individuals who demand the best. Cannabis products are only as good as the starting material they came from and we grow the finest and fullest bodied around. We like to combine our products with adventurous lifestyles and promote the adventurous spirit we all have inside of us. Be wild, love, and live free. Do what makes your heart sing and add in some SoHum Royal to make it scream!